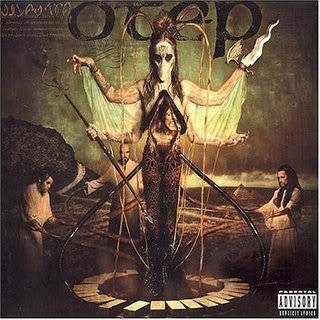 OTEP is an American Nu metal band formed in 2000 in Los Angeles, California. The current lineup of the musical group consists of four members: vocalist Otep Shamaya, guitarist Aaron Nordstrom, drummer Brian Wolff, and bassist/background Vocalist "Evil" J. McGuire. 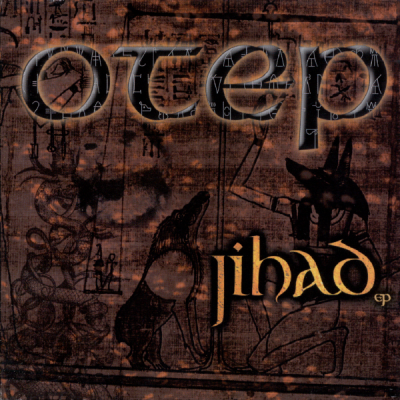 OTEP was formed in the fall of 2000 in Illinois by Otep Shamaya and "eViL J." McGuire. After performing area shows, the band was noticed by Sharon Osbourne who was impressed enough to offer OTEP a spot for the Ozzfest 2001 tour. During this time, the band was unsigned, but had several showcases for labels lined up. Capitol Records was intrigued by OTEP and asked them to perform another showcase and soon was signed with them. The band's first record for Capitol was an EP titled Jihad. Thenceforward OTEP released two albums (2002's Sevas Tra and 2004's House of Secrets). The second album, House of Secrets was produced by Greg Wells in Los Angeles at Rocket Carousel Studios. OTEP performed at Ozzfest again in 2002 and 2004. Another member who played as rhythm guitarist (Melissa DeGott) joined in the beginning of 2005 and quickly departed in late 2006, because they decided as a band she was too young to be touring. February 2008--Otep has announced that the band will headline a tour "Circus Of Democracy Tour" at the end of march and it was also announced that the 3rd Music video from the new album "The_Ascension" would be released Friday February 29th,2008 on headbangers blog & it would be televised Saturday March 1st,2008 on MTV Headbangers Ball. The video is the political anthem "Confrontation". In early May, Otep posted on her blog that on May 15, 2008, the video for Crooked Spoons would premier on Headbanger's Ball. It contains live footage from their concerts and clips of the film On the Doll.